Lauryn Hill is a popular hip-hop and soul musician who rose to fame as the lead singer of The Fugees in the mid-1990s. The Fugees’ second album, The Score, sold over six million copies in the U.S. and more than 17 million copies worldwide. 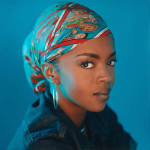 The band split up soon thereafter and Hill released a solo album, The Miseducation of Lauryn Hill to even greater acclaim and success. “Miseducation” won five Grammy Awards, spent 81 weeks in the Billboard 200, and topped out at 18 million in worldwide sales. Following its release, Ms. Hill largely disappeared from the public eye to raise her six children, five of whom she had with Rohan Marley, the son of reggae legend Bob Marley. Despite her low profile, Ms. Hill earned over $1.8 million between 2005 and 2007, mostly from recording and film royalties. In June 2012, Ms. Hill was charged with tax evasion for failing to file income tax returns for the years 2005 through 2007. She faced a prison sentence of up to three years (one per unfiled return). Ms. Hill pled guilty to the charges and promised to pay back the taxes she owed. During her trial she criticized the over-commercialization of the music industry and cited the safety of herself and her family as reasons for stepping back from her career. Ms. Hill signed a recording contract with Sony to help pay her tax liabilities of over $900,000 but her sentencing hearing was delayed for two weeks because she had still not paid the back taxes. At sentencing the judge also considered Ms. Hill’s failure to pay her 2008 and 2009 tax liabilities and sentenced her to three months in prison with a $60,000 fine. A day before entering prison, Hill released a long letter addressing racism, slavery and the IRS. 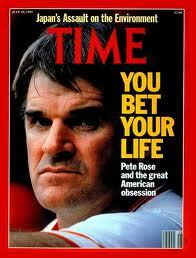 Pete Rose has faced his fair share of criticism for his gambling problems. He was banned from Major League Baseball for betting on games while he was a manager. He also underreported income from gambling, personal appearances, autograph signings, and memorabilia sales between 1984-1987. 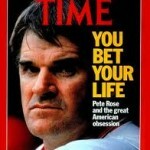 During his playing career, Rose earned the nickname “Charlie Hustle” for his fierce competitiveness. He finished his major league career as the all-time hits leader with 4,256. Rose also won three World Series, including two as a member of the Big Red Machine, three batting titles, one MVP, and made 17 All-Star appearances. He managed the Cincinnati Reds from 1984 until 1989, when the 225-page Dowd Report was released to MLB Commissioner Bart Giamatti. The infamous Dowd Report contained banking records, betting records, and witness testimony indicating that Rose bet on baseball while managing the Reds. Rose originally denied the allegations, but agreed to a ban from Major League Baseball in 1989. Rose is still banned from Major League Baseball and has admitted on betting on games he managed. Shortly after his ban from baseball, Rose was charged with failure to report over $350,000 in income from memorabilia sales, autograph signings, personal appearances, and gambling winnings from 1984 through 1987. 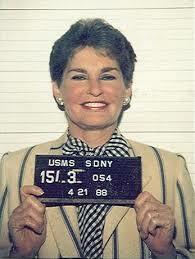 In 1990, Rose pled guilty to two felony charges of filing false tax returns. As part of the plea agreement, prosecutors agreed not to charge Rose with the more serious crime of tax evasion. 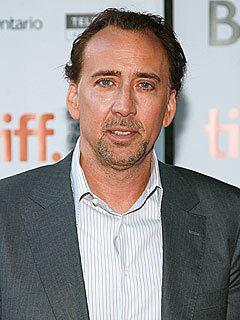 He was sentenced to five months in prison and fined $50,000. Rose continues to make money with appearances and memorabilia sales, presumably reporting all of it as income on his tax returns. 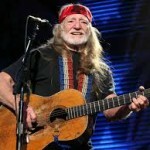 Willie Nelson may be most famous for his longevity in the music industry. 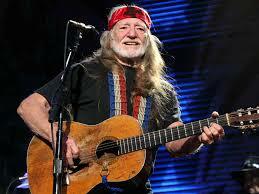 He’s been making music since 1956 and has recorded over 70 albums during his career. Nelson has also participated in countless compilations and collaborations with other artists. He’s well known as a longhaired, liberal activist owning a biodiesel brand and serving on the advisory board of the National Organization for the Reform of Marijuana Laws. In the late 1970’s and early 1980’s Nelson, along with over 4,000 other wealthy individuals, participated in a widely promoted tax shelter. The shelter, operated by First Western Securities of San Francisco, allowed investors to deduct as much as $8 on their tax returns for every $1 invested. After an investigation, Nelson was hit with taxes, penalties, and interest of over $30 million. In 1990, Nelson’s lawyer negotiated to have the bill reduced to just over $16 million to cover tax, penalties, and interest, but Nelson did not have the money to pay his bill. The IRS executed a raid and seized most of Nelson’s assets including musical instruments, platinum records, posters and his recording studio. Nelson was able to save his guitar, Trigger, by having his daughter ship it to him in Hawaii before the raid. 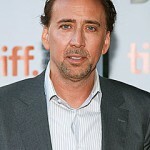 After hearing about his problems, fans started a number of charity drives to help pay Nelson’s tax bills. Many of Nelson’s sentimental items were saved when the IRS accepted less than full value from charity groups, who then returned them to Nelson. The auctions and donations were not able to make any substantial progress towards resolving Nelson’s tax bill. In an unusual attempt to collect as much as it could, the IRS agreed to allow Nelson to produce a compilation album with a portion of the proceeds going to the IRS. By this time, Nelson’s lawyer had renegotiated the bill to $6 million. Nelson’s album, The IRS Tapes: Who’ll Buy My Memories?, sold for $19.95 with $9.95 going to the telemarketing company promoting the album, $3 to the IRS, $2.40 to Sony Corporation, $2 to pay the tax generated by sale of the album, $1.60 to album-related expenses, and $1 going to fund Nelson’s lawsuit against the promoter. The album wasn’t a huge success, though the IRS collected about $3.6 million. Nelson’s settlement from his lawsuit against the promoter and his money from other projects was enough to cover the remainder of his tax bill. 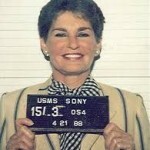 Leona Helmsley became a household name in the 1970’s for her lavish lifestyle and marriage to billionaire hotelier Harry Helmsley. Perhaps she is best known for disinheriting two grandchildren and leaving $12 million to her Maltese, Trouble, after her death in 2007. During her lifetime Helmsley was known for her harsh treatment of Helmsley Hotel employees and appearing in ads as the perfectionist “queen” wanting nothing but the best for her guests. She didn’t just get the “Queen of Mean” nickname by treating her employees poorly; she also sued her son’s estate after his death evicting her daughter-in-law shortly after the funeral. The Helmsley’s were once among the largest property holders in the United States. Their property portfolio included the Empire State Building, Helmsley Palace, Hotel St. Moritz and many other hotels and buildings across the world. Despite their tremendous wealth, the Helmsley’s constantly fought with contractors and vendors over payments. Their mistreatment of employees and squabbles over bills are the stuff of legend and left prosecutors rife with eager witnesses when it came time for trial. Helmsley was just as arrogant about her taxes, famously telling her housekeeper: “We don’t pay taxes, only the little people pay taxes.” Helmsley participated in several schemes to avoid paying millions of dollar in income and sales taxes. In 1985, Helmsley testified in front of a grand jury about her elaborate sales tax avoidance scheme with jewelry store, Van Cleef & Arpels. Attempting to avoid New York sales tax, she worked with Van Cleef & Arpels employees to purchase millions of dollars in jewelry and have it shipped to another state. Helmsley was granted immunity in exchange for her testimony. The Helmsley’s also were creative with their approach to income taxes. In 1983, they purchased Dunnellen Hall, a mansion in Greenwich, Connecticut for $11 million, and proceeded to spend over $8 million remodeling the home. The renovations included a marble dance floor, a swimming pool enclosure, and a $130,000 sound system. When they refused to pay for the renovations, the contractors reported Helmsley and testified that she instructed them to bill the renovations to Helmsley Hotels so that she could treat them as business expenses. In 1988, Rudy Giuliani, then U.S. Attorney, indicted Leona and her husband on 188 counts of sales tax fraud, state and federal tax evasion, and extortion. 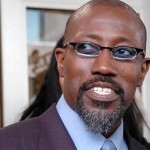 Helmsley was convicted and sentenced to 16 years in prison. On appeal, 180 counts of the charges were dismissed and her sentence was reduced. She ended up spending 18 months in federal prison and paid an $8 million fine. 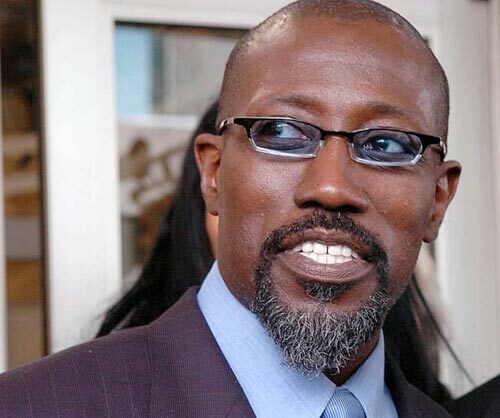 In the first installment of what we intend to be an ongoing series profiling the tax troubles of the stars and other famous folk, we start with the most famous tax evader of them all. Alphonse Gabriel “Al” Capone was one of the original American gangsters who rose to power during the 1920’s. Capone was not only recognized for his brutality and willingness to take lives, but also his keen business sense and extreme secrecy in managing his organization. In his rise to power, Capone consolidated much of the gambling, prostitution, liquor, and extortion rackets in Chicago and brought them under his control. He spent tens of millions of dollars on bribes to politicians, prosecutors, police officers, and other city officials. These tactics kept Capone from serving significant jail time, despite being a suspect for numerous murders during his reign. An extremely cautious man, Capone dealt strictly in cash and kept his business dealings secret. Despite bringing in an estimated $100 million through his various business ventures in 1927, Capone never had a bank account. During their extensive investigation the Treasury Department only found one instance where Capone endorsed a check. In a raid of one of Capone’s gambling establishments, the Treasury Department found a book record showing net profits of $300,000 for 1924, $117,000 for 1925, and $170,000 for the first four months of 1926. During their investigation, Treasury also found a cashier’s check from 1927 amounting to $2,500 endorsed by Al Capone for the profits of the gambling establishment. Treasury used this evidence along with the testimony of one of Capone’s bookkeepers, and other employees testifying to various Capone wire transfers, to show that Capone had several hundred thousand dollars in unreported income. On June 16, 1931, Al Capone pled guilty to tax evasion and prohibition charges. Much to his lawyer’s dismay, Capone boasted to the press that he struck a deal for a two-and-a-half year prison sentence. However, the presiding judge informed Capone that he was not bound by any deal. Capone changed his plea to not guilty and was convicted on November 24, 1931, sentenced to 11 years in federal prison, fined $50,000 and charged $215,000 in back taxes, plus interest due. The publicity of Capone’s case caused criminals and legitimate citizens alike to take note and begin to pay the IRS for back taxes. In 1931, more than $1 million in unpaid tax filings were submitted, double the amount of the prior year. Capone didn’t catch any breaks after his conviction. He contracted syphilis and suffered brain damage and insanity from the infection. Before his death in 1947, doctors concluded that he had the mental capacity of a 12-year-old child.